According to The Hollywood Reporter, Steve Carell is teaming back up with Greg Daniels, creator of the US version of The Office, for a Netflix series that will be a "workplace comedy centered around the people tasked with creating a sixth branch of the armed services - Space Force". Hyped for Space Force? I think that we all agree this show will be absolutely hilarious, especially when you consider it's bringing in the same people behind "The Office". The Office is ranked as one of the streaming service's most-watched acquired series. 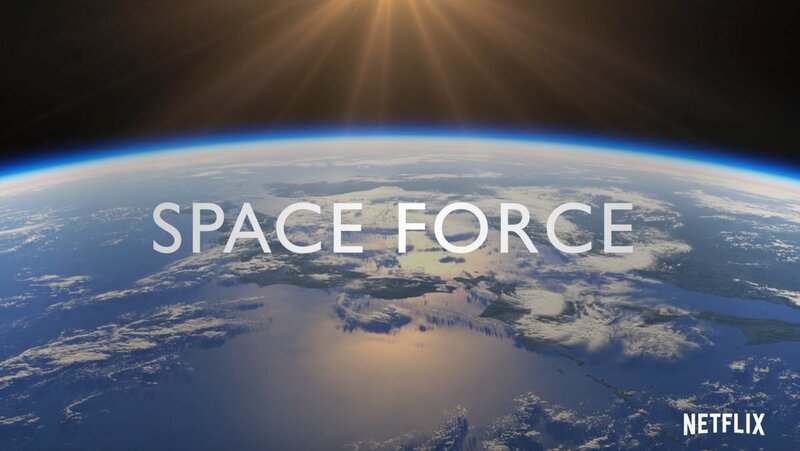 The resulting TV series, now named Space Force, was unveiled in the form of a teaser trailer on Wednesday morning. As the teaser trailer above says, "The goal of the new branch is to "defend satellites from attack" and "perform other space-related tasks"...or something". The series will follow the men and women tasked with creating the space force and figuring out what exactly it does. Carell and Daniels co-created the series together and will executive produce alongside 3 Arts' Howard Klein, whom the two previously worked with on the acclaimed NBC comedy that ran for eight years. We don't have a release date or any information about other stars, writers, or contributors. Donald Trump's Space Force idea sounded like (and still sounds like) a joke, so making a Space Force comedy series only seems fair. According to The Hollywood Reporter, he's set to earn a record-setting $1 million per episode. Then there's the issue of the potential weaponization of outer space, as the creation of the Space Force could trigger an worldwide arms race.